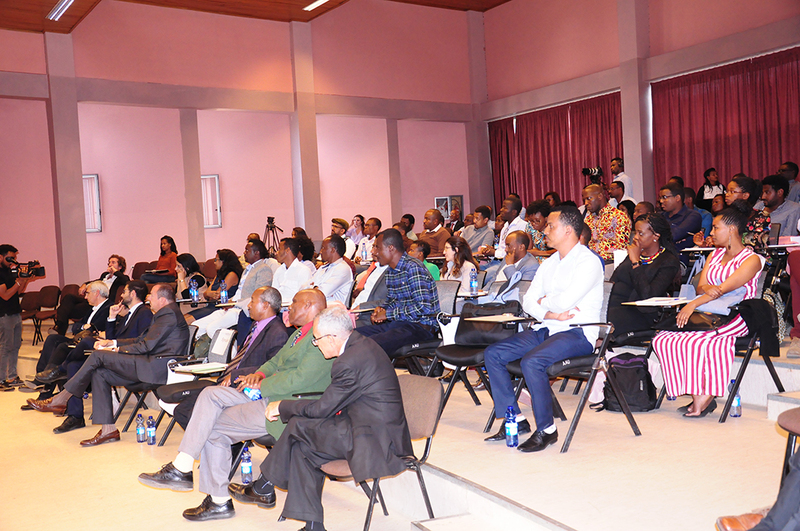 The 2019 edition of Open Africa Power training program kicked off on January 28, 2019 at AAiT, Addis Ababa University. The program is a capacity building program initiated by Enel Foundation intended to provide a holistic know-how in the electricity sector enhancing technical, regulatory and business skills needed to work in private & public sector towards the electrification of Africa. The program is dedicated to build a platform for young and exceptionally talented students selected solely based on merit, among MSc and/or PhD students and alumni of Engineering, IT, Law and Business from African universities. The training brought together 60 participants from 16 different African countries for a week long; from January 28- February 1st 2019. The candidates, selected among 400 talented applicants from 37 countries, will learn about the state of the art in the electricity sector covering power generation, distribution, storage and management technologies, discussing economic and legal aspects as well as policy and regulation challenges and opportunities pose by the energy transition. Speaking on the opening remarks, Dr. Carlo Papa, Director of Enel Foundation noted that the program addresses the need to develop a new highly skilled and motivated generation capable of joining the energy sector in the public or private domains, as well as through participation in civil society and NGOs. “This is crucial for the progressive decarbonization of Africa, for the retaining of talents in their respective countries and to help deploy more resilient societies, capable of minimizing some of the consequences of climate change in the continent”. Tesfaye Fichalla, Special Assistant, State Minister of Energy Sector, Ministry of Water, Irrigation and Electricity of Ethiopia on his part also noted that in accordance with the Countries Climate- Resilient Green Economy Strategy, we are generating almost all of our electricity from clean and renewable energy resources centered on hydropower as well as other renewable energy sources such as solar, wind, geothermal and biomass. 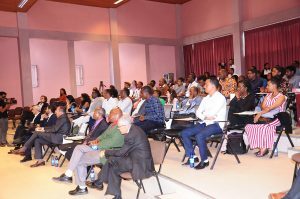 “The power sector, said Tesfaye, already in a reform stage with input from global best practices to improve reliability, efficiency and security requires young professionals armed with state of the art of technologies and fresh ideas. “Open Africa Power is a very good example of University-Industry linkage with immense contribution to the energy sector transformation effort in Ethiopia as well as in other African countries. Open Africa Power is now open to African citizens living outside the continent to return home. This is another important dimension of the human capital challenge of brain drain being addressed by the program,” added Tesfaye. The implementing partner of Open Africa Power 2019 is Strathmore University and the hosting partner of the African module is Addis Ababa University. The other academic partners include Politecnico di Torino, Politecnico di Milano, Bocconi University, and Florence School of Regulation. Open Africa power is initiated by Enel Foundation in 2018 on the aim of creating a platform for a new generation of African leaders deeply engaged with the clean energy future of their countries.